When it comes to old classic vehicles or family heir looms, the ultimate goal for most people is to completely restore them back their former glory. With over 70 years combined experience our team specialise in restoration. With restoration it can be a long process and sometimes expensive, our aim is to be able to work within each customers individual budget to achieve the best possible finish. Depending on what level of restoration has been agreed on the actual restoration processes may be different. 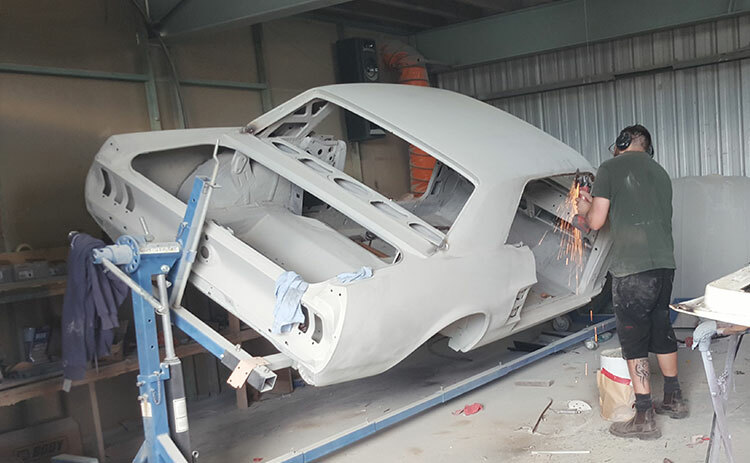 For the complete restoration, firstly each vehicle is taken back to bare metal, once stripped back any rust / damage is assessed and plan is made to repair. Car is then completely rubbed down with deoxidine acid then 2pack epoxy primed. From there any repairs are made including patch replacements, fabricating replacement panels. Once all repairs are complete the car is then re epoxied then blocked with 180grit long board then re primed in 2k filler prime, then the car begins the prep stage for paint. Every panel and shell of the vehicle is wet sanded 100% smooth before it then goes into to the booth and is masked up for paint. Once paint is stage is complete and cured / baked it is then colour sanded and buffed to perfection. 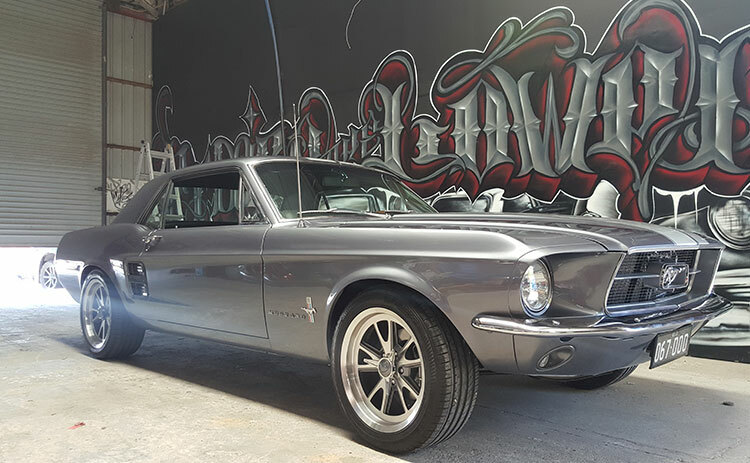 We have a 5-year guarantee on all our bare metal complete car restoration work. Call us during our business hours Monday to Friday 6:30am to 6:00pm or contact us online anytime for a no obligation free cost estimate or quote. Our workshop located in Arundel on the Gold Coast.